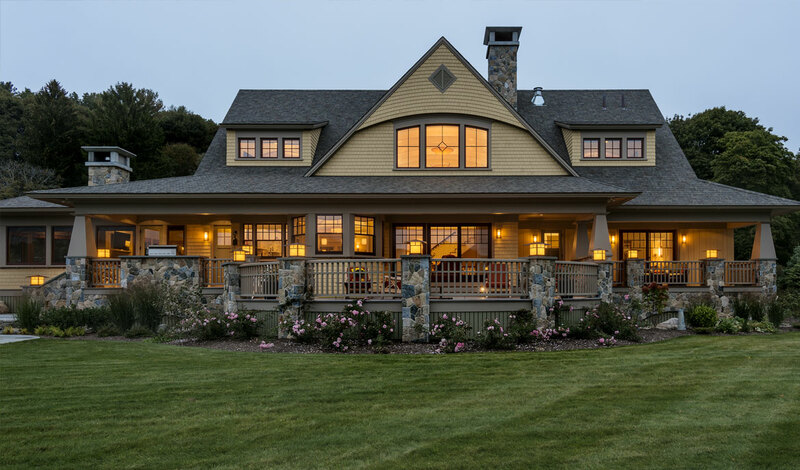 This was a dream house for the homeowners, idyllically sited in a beautiful New England meadow. 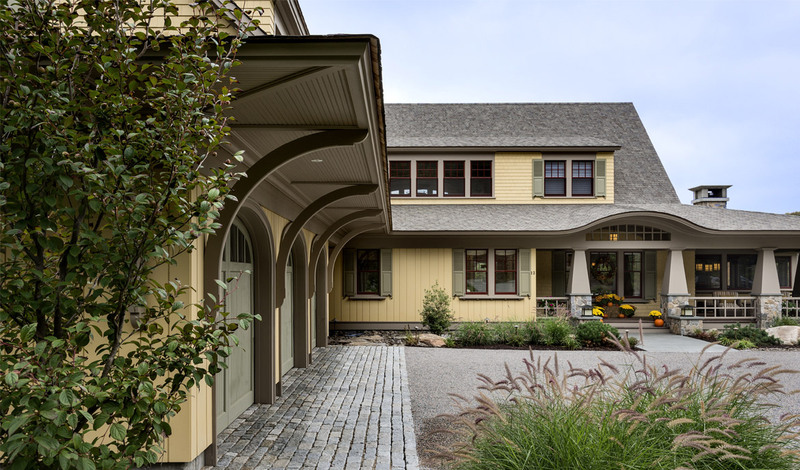 The exterior massing of the house respects the style of the surrounding neighborhood as well as grounding the home to the site more naturally. Large overhangs, material choices and low slung rooms help create horizontal datum bans that connect the massing of the home attractively to the site, overlooking the meadow as it rolls towards the rear of the house. 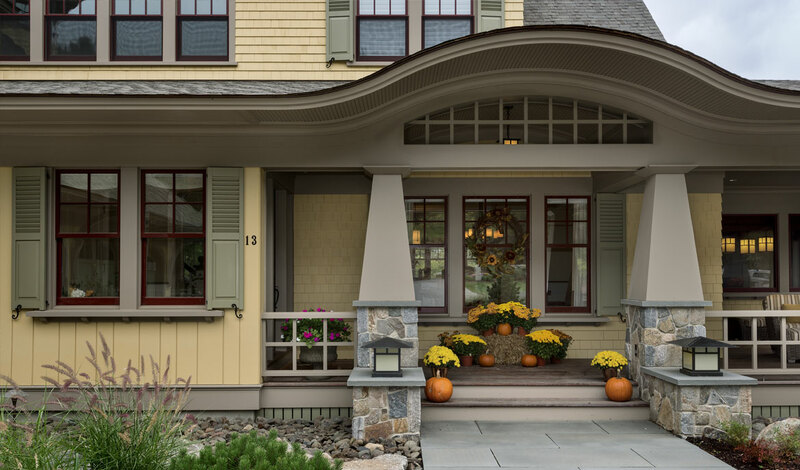 The interior of the house was designed with the intent of providing the homeowners with cozy and comfortable spaces that are complimented by exquisite yet casual architectural detailing. An open concept floor plan between the kitchen, dining room and great room create a less formal feel while the two-story great room envelopes the spaces with warm sunlight. Windows placed along the southern façade, as well as large slider doors in the great room, frame the views to the gently sloping meadow. 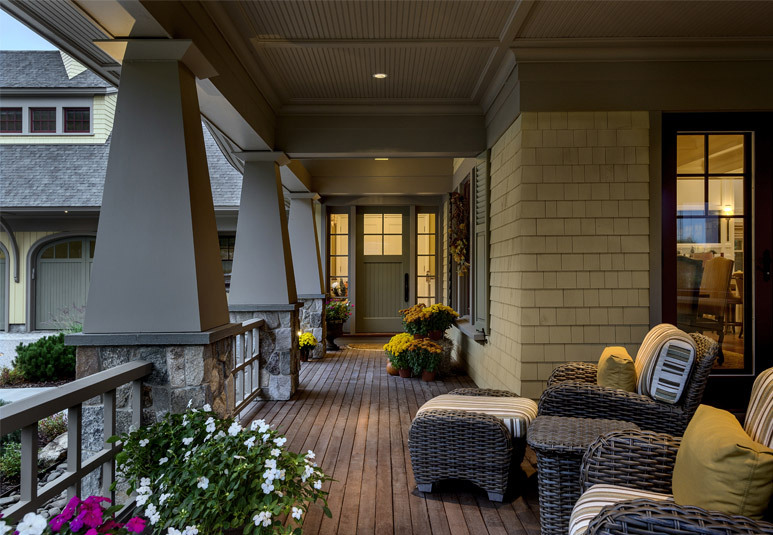 Outside the great room is an expansive exterior deck that leads to a wraparound farmer’s porch designed to satisfy the homeowners’ love of outdoor living. 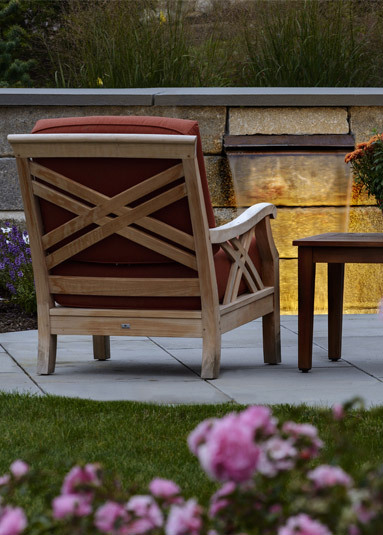 Indigenous landscaping blends casually into the surrounding grounds. The kitchen was designed to accommodate both homeowners’ passion for cooking and entertaining. A wraparound outer island helps to define the cooking area while still allowing the living room, dining room and kitchen spaces to flow into one another. 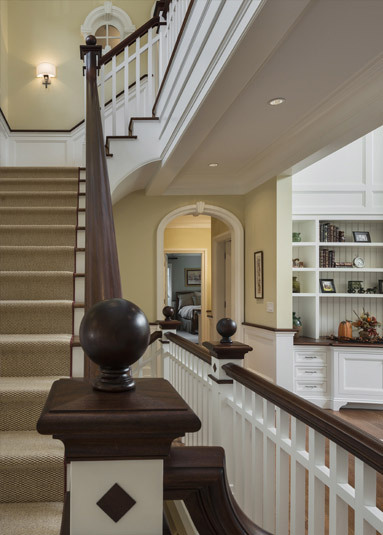 These spaces are visually connected with trim and chair- rail datum bands for a more cohesive design solution. The orientation of these spaces and the extensive window layout takes advantage of both the views to the meadow in their back yard as well as allow an abundant amount of natural light into the space. 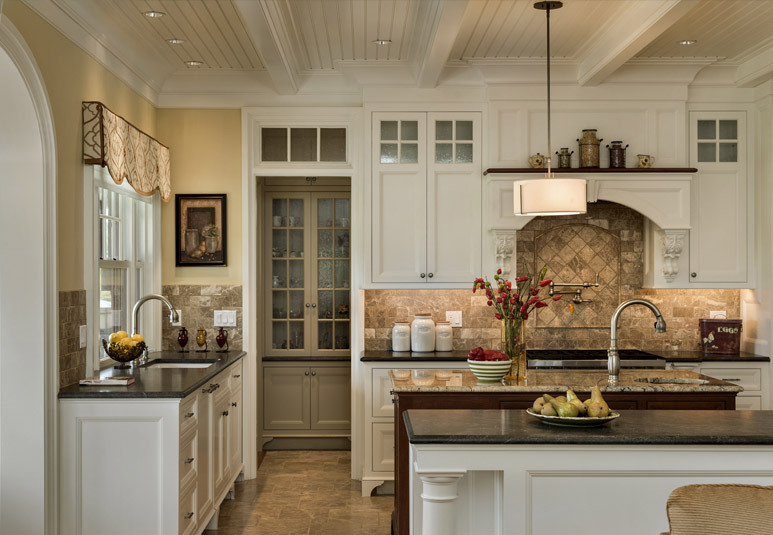 Coffered ceilings and differing finishes on the kitchen island helps to break up the space visually into inviting spaces for family and guests.